Home » » TEENAGE ROBBERS BURGLE SHOP TO BUY HARD DRUGS. TEENAGE ROBBERS BURGLE SHOP TO BUY HARD DRUGS. 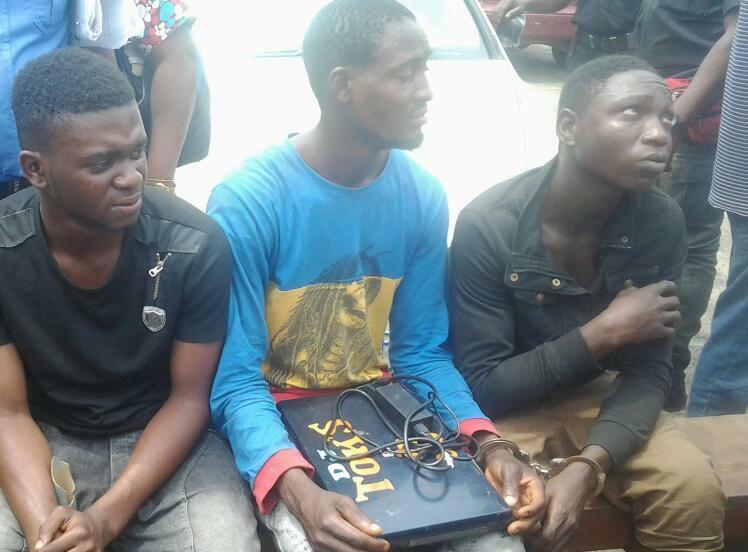 Two teenage robbers, who were arrested for burglary in Lagos, have reportedly confessed that they broke into the shop because they needed money to buy hard drugs. P.M.EXPRESS reports that the suspects were arrested after they burgled a shop and carted away items including a laptop which they sold for N2,000 only just to raise some money to buy hard drugs as they were addicts. The shop was located at Block 397 Jakande Estate in Ejigbo, Lagos. The boys went to the shop and stole the items included CD mixer, amplifier, generator and a laptop worth about N300,000 but sold the laptop for N2,000 to one Adejagun Babatunde, 27 and Lawal Wasiu, 20. When the suspects were later arrested, they confessed and took the police to their adult collaborators – Babatunde and Wasiu, who bought the items at give away prices. The little boys were handed over to the Gender Section of the Command where they reportedly informed the police that they were on drugs and women. The adult collaborators were arrested and paraded by the Lagos State Commissioner of Police, Mr. Imohimi Edgal, at the State Command, Lagos. This was confirmed by the police boss who explained that the suspects were arrested on 2nd September, 2018, and they specialized in breaking into shops at night to steal. He said that the teenagers ran out of luck after they burgled the shop, took the items away and sold them to their adult collaborators before they were arrested and they confessed. He said that the exhibits were recovered and the suspects will definitely be charged to court to serve as deterrent to others who might try such despite their ages. P.M.EXPRESS scooped that it was while the little boys were being interrogated that they confessed what they needed the money for which led them into breaking peoples’ shops at night to steal.